Searching for Dependable Residential Property Management in Sacramento? Owning an investment property comes with financial and legal risk. It’s not as simple as just cashing in a rent check every month. Rather, the duties of a landlord are never-ending. You cannot take off nights, weekends, or holidays. Emergencies can erupt in the middle of the night, and tenant conflict can arise at any time. To be a profitable homeowner, you need an in-depth understanding of residential property management in Sacramento. The proper resources can make all the difference. At Real Property Management SAC-METRO, we know how to help you maneuver the ups and downs of the rental industry. Our proven processes are designed to increase your cash flow, safeguard your property, and legally protect your investment business. Costly mistakes add up and can have a significant impact on your bottom line. Managing a rental home is a difficult job, especially when you attempt to go about it alone. Do you know how to reduce vacancy days and tenant turnover? Are you complying with all federal, state, and local laws and regulations to avoid costly violation fines? Can you provide cost-effective maintenance repairs and conduct regular home inspections? What about an adequate rent collection process to prevent the need for an eviction? Many homeowners have learned the hard way that being a landlord comes with its fair share of hassles and headaches. If you are looking for an easier way to meet these everyday demands, partnering with the team at Real Property Management SAC-METRO is the solution. We work hard to make renting a positive experience for both owners and tenants. 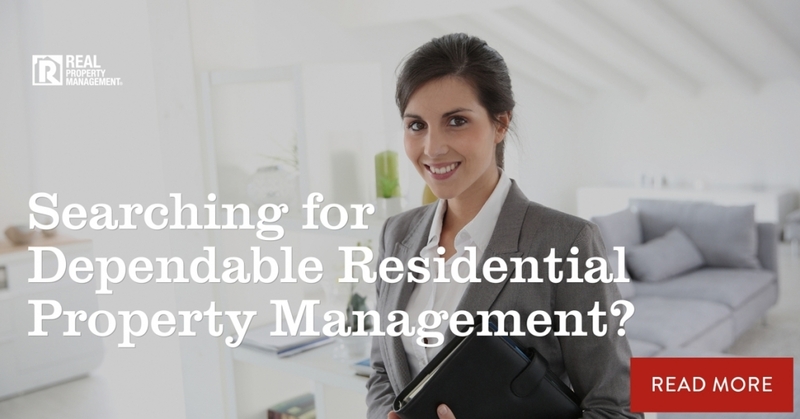 Here are the top benefits of hiring professional property management services. Employment – We verify income and employment to ensure it exceeds at least three times the rent rate. Rental history – Speaking with past landlords can be eye-opening, for good or for bad. It is one way to discover whether a tenant was previously involved in any illegal activity or the cause of property damage. Background check – A criminal record is an additional way to learn about a tenant. We watch for individuals with a record of drug abuse or violent crimes. Credit Check – A credit score can be revealing. We want to determine if a tenant has a history of meeting their financial obligations. When it comes to selecting tenants, it is easier to watch for red flags and catch potential troublemakers than deal with the aftermath of a tenant catastrophe. The professionals at Real Property Management SAC-METRO have the experience and knowledge to help you select the best tenants possible. Nothing hurts your cash flow more than a vacant rental home. Your home listing needs to reach the masses to give you the best chance at finding qualified tenants in a timely manner. You won’t find tenants if tenants can’t find you first. No matter the location of your rental, whether in Roseville or Folsom, property management experts at Real Property Management SAC-METRO can help you advertise your listing across the most popular websites. We also produce virtual showings of your property so potential tenants can view the home at their convenience. All live walk-throughs are scheduled and handled by our friendly team as well. The work only continues once tenants move in. Residential property management in Sacramento is a 24/7 job. You can prevent confrontations and conflict if tenants know what to expect beforehand. We prepare a well-written lease agreement that outlines exact tenant responsibilities versus landlord duties. The contract also explains what will happen if tenants fail to make a rent payment. Even well-screened tenants can face financial difficulties, so it is critical to have firm-but-fair rent policies in place. Our automated collections process works to resolve financial matters as quickly as the law allows. Do not let a legal battle hurt your profitability. Instead, rely on our legal team to make sure you comply with the law. As our client, you will know the status of your rental home at all times. All homeowners are set up with a personal online portal to review monthly financial statements, year-end tax documents, or submitted maintenance requests. Plus, during the leasing process, homeowners receive frequent updates regarding tenant placement. Tenants also benefit from our efficient, technology-driven leasing cycle. Potential tenants can visit our website to search for available rentals and schedule showings. Current tenants utilize an online portal as well to put in maintenance orders and pay rent. When owning an investment property in the greater Sacramento area, from Carmichael to Folsom, property management takes organization, proficiency, and experience. You cannot expect great results without great management. What you put into your rental home is what you will get out of it. If you want to earn a better return, use our proven processes and hassle-free leasing cycle to increase your cash flow. Learn more about our comprehensive list of services and put our team to work for you. Call Real Property Management SAC-METRO today. https://rent916.com/wp-content/uploads/2018/05/5-Folsom-property-management-residential-property-management-in-Sacramento.jpg 628 1200 Valerie Christensen /wp-content/uploads/2018/06/Artboard-1@2x.png Valerie Christensen2018-05-24 05:00:442018-10-15 22:32:40Searching for Dependable Residential Property Management in Sacramento?